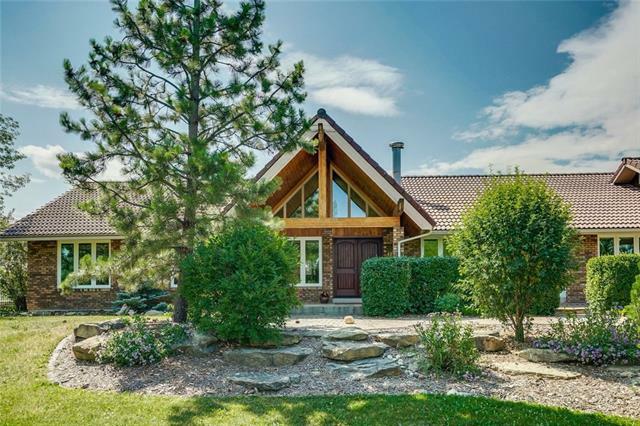 Private residence on just over 4 acres this home sits in the heart of Calling Horse Estates in the picturesque community of Springbank. 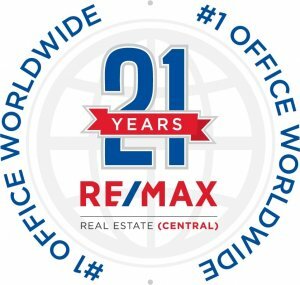 Offering complete peace & quiet but still just a 15 minute drive to downtown. 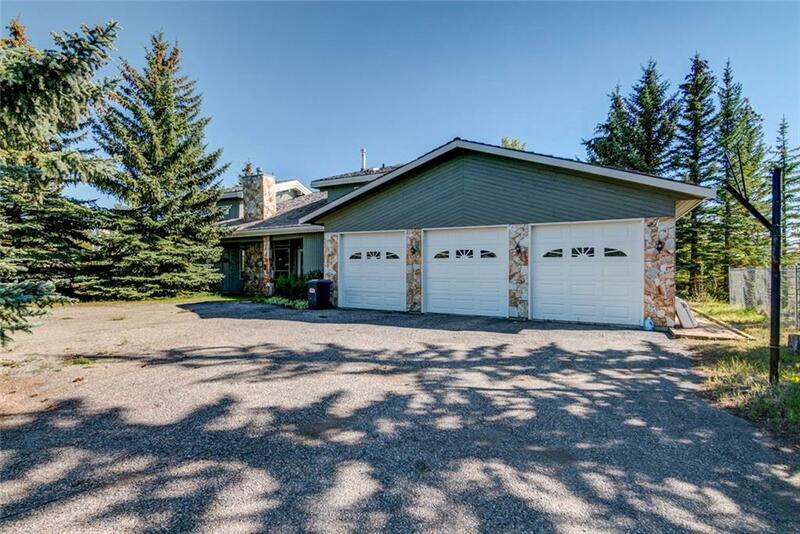 Tons of mature trees & a long driveway with a roundabout lead you to the stunning house featuring over 4,300 square feet of developed living space! A large double front door entrance opens up to vaulted ceiling into one of the TWO living rooms on the main floor; both with stone fireplaces and drenched in natural light. The main level offers slate & hard wood flooring. A beautiful kitchen done by Legacy Kitchens featuring stone counter tops, stainless steel appliances & plenty of cupboard space. There is also a large formal dining room, perfect for hosting large dinner parties! French doors lead to the perfect home office (5th bedroom). The second level has 3 large bedrooms including the massive master & ensuite with jetted soaker tub. The master has its own stone fireplace & balcony with a southern facing mountain view. The basement has a hot tub surrounded by windows, and a media/theatre room that features the fourth stone wood burning fireplace in the the home. A second kitchen in the basement, a pool table area, a sauna, & a bedroom with its own sitting/gaming area (originally was 2 bedrooms, can easily be converted back making 6 bedrooms in total) The natural beauty of this property can be enjoyed on its enormous multi level deck space. Equipped with a natural gas hook up for BBQ's. There is a fully fenced dog run, an electric fence running the perimeter of the property & a heated greenhouse behind the garage. We checked with the city and you can even keep a horse here! So much room. Call for your private viewing today! And make sure to watch the VIDEO TOUR using the media link icons up above. Home for sale at 59 Calling Horse Es Rural Rocky View County, Alberts T3Z 1H4. 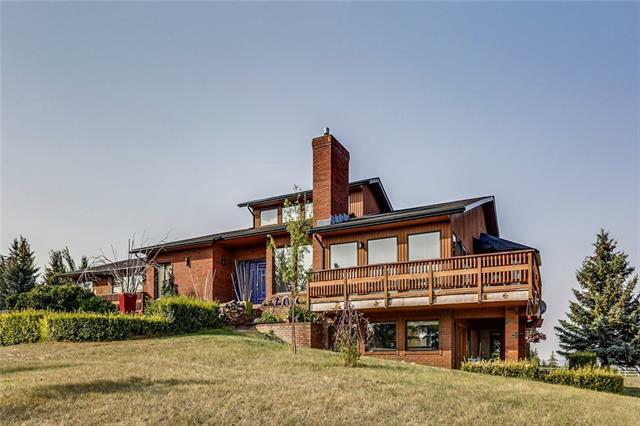 Description: The home at 59 Calling Horse Es Rural Rocky View County, Alberta T3Z 1H4 with the MLS® Number C4223115 is currently listed at $1,199,000.